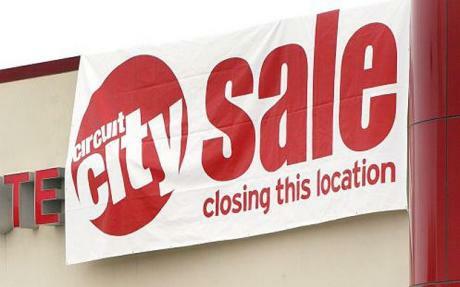 Plenty of folks are reporting that Circuit City plans to close more than 150 of its 760 stores. But there's a bigger story here for managed service providers. Circuit City's business challenges highlight the key reason big-box PC retailers can't compete with managed service providers and VARs. Here's my theory. Plenty of folks are reporting that Circuit City plans to close more than 150 of its 760 stores. But there’s a bigger story here for managed service providers. Circuit City’s business challenges highlight the key reason big-box PC retailers can’t compete with managed service providers and VARs. Here’s my theory. In certain areas, big box IT support services have been very successful. Best Buy’s Geek Squad is a prime example of a simple break-fix service for the consumer and SoHo Windows PC markets. But managed services is a completely different game, and it requires a far more sophisticated set of proactive, predictable services. Sorry, but big box retailers aren’t very predictable when it comes to customer service. Other than the Apple Store model — where customer service is paramount — big box retailers frequently have hit-and-miss customer service because they suffer from high employee turnover. Think about this for a minute: Do your customers — especially consumers and small business owners — enjoy shopping in big box retailers for big ticket items like PCs, LCD TVs and Plasma TVs? Some shoppers enjoy the experience, many don’t. So why would anyone expect less-than-thrilled customers to trust big box retailers with managed services? Now, think about this other challenge: Retail locations come and go. CompUSA is mostly history. Circuit City is consolidating. And office superstores — from OfficeMax to Office Depot to Staples — are under constant pressure from Wall Street to grow same-store revenues and manage their costs. Translation: managed services is both an opportunity and a challenge for big PC retailers. On the upside, manage services may allow retailers to build stronger customer relations (on a local level) and recurring revenues. On the downside, retailers close their under-performing stores regularly, which means the retailer’s local MSP presence may also disappear. Frankly, I’m not sure why traditional VARs and MSPs are so concerned about retailers offering managed services. Remember: Consumers and small business owners dread the day they need to call a retailer’s customer service line. And returning a malfunctioning PC to an office superstore is no fun at all. So why would anyone expect retailers to excel at personalized, proactive managed services? If Apple ever dominates the PC market and offers managed services, then I’ll worry. In the meantime, retailers remotely managing Windows PCs is a hit-and-miss strategy at best. My bigger concern is online retailers (CDW) launching managed services. I don’t want to overlook competitors but I think you’re correct to say retailers don’t understand this market.